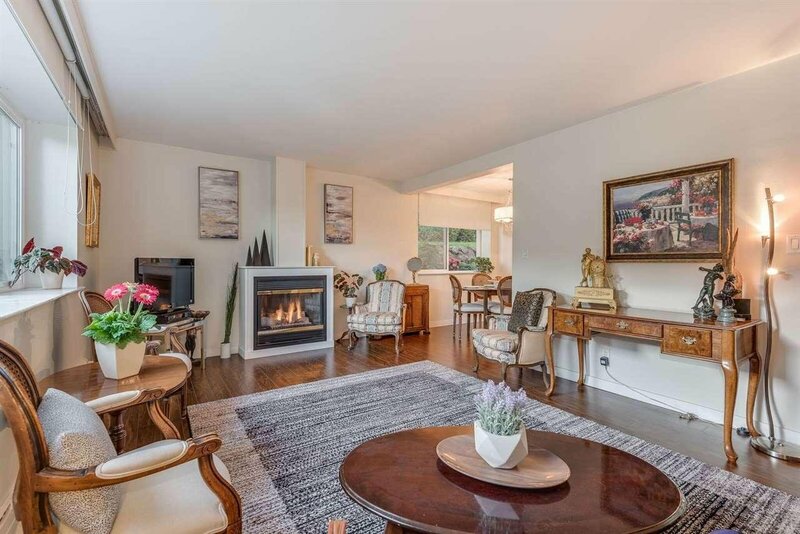 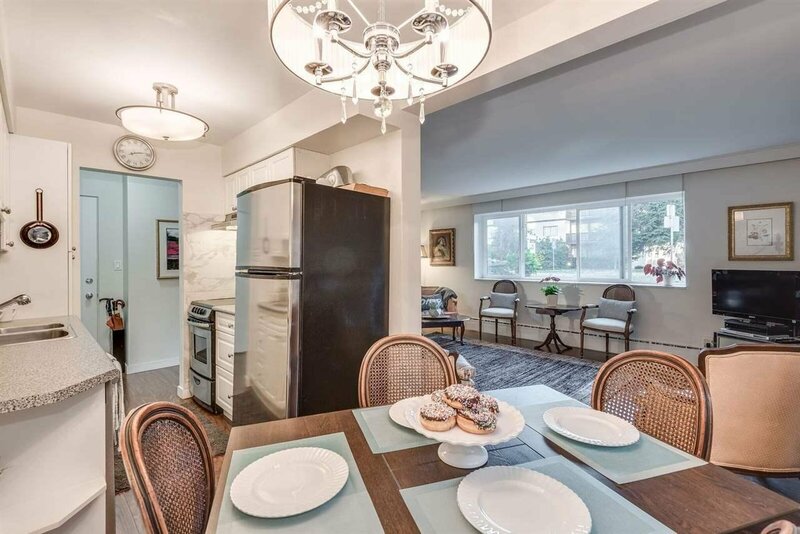 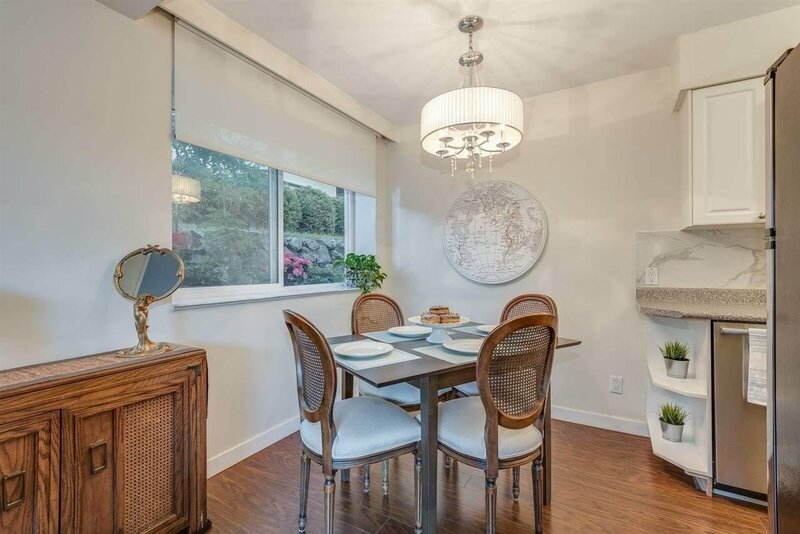 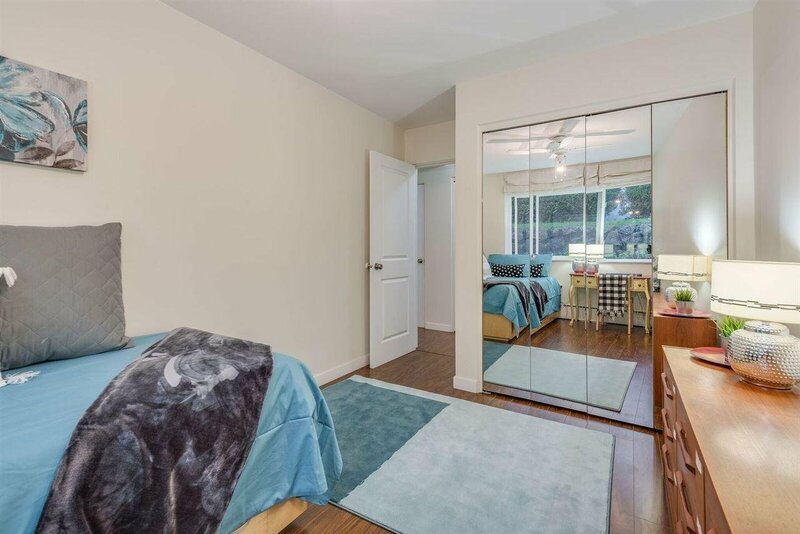 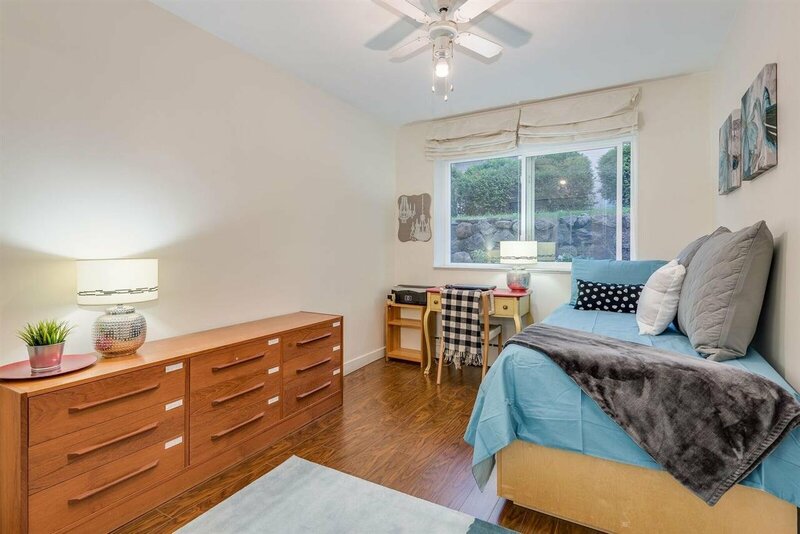 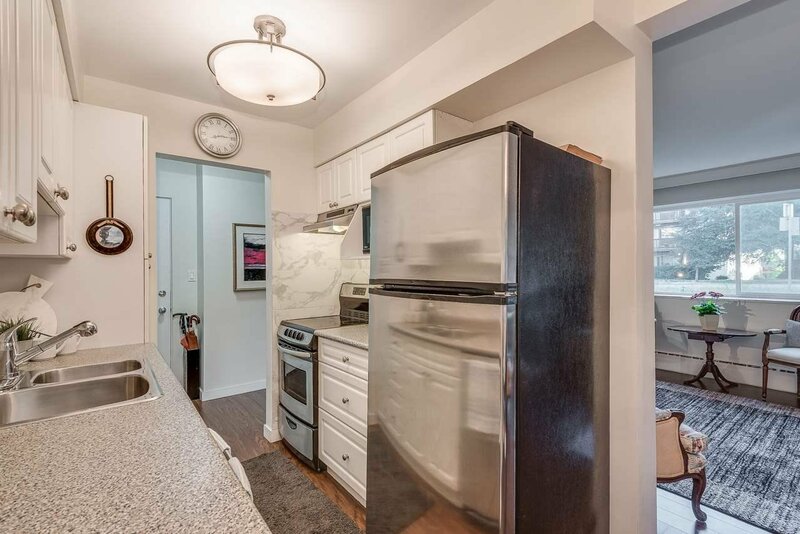 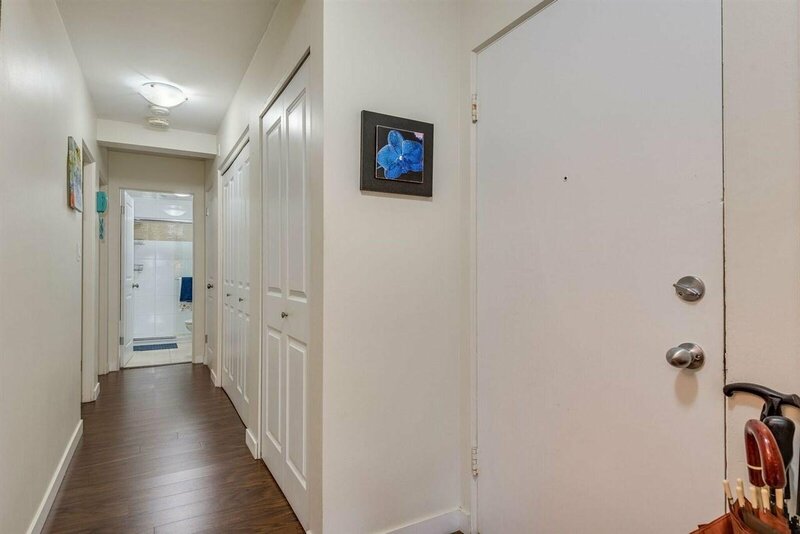 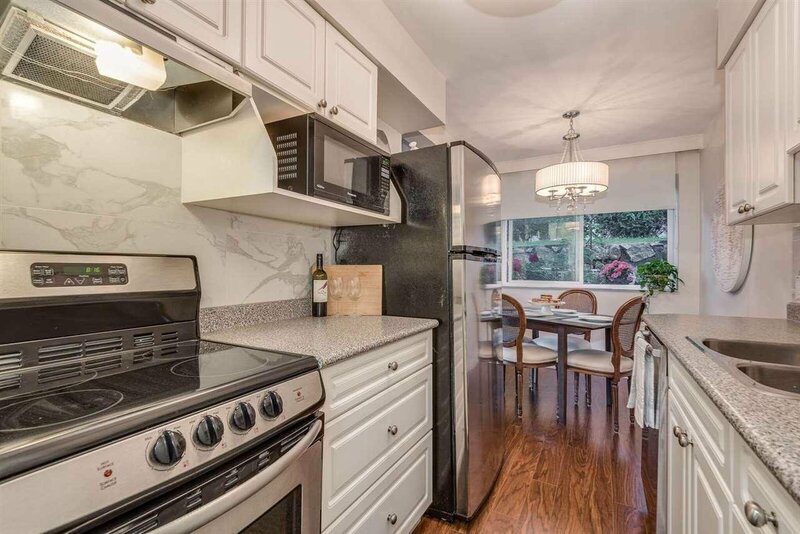 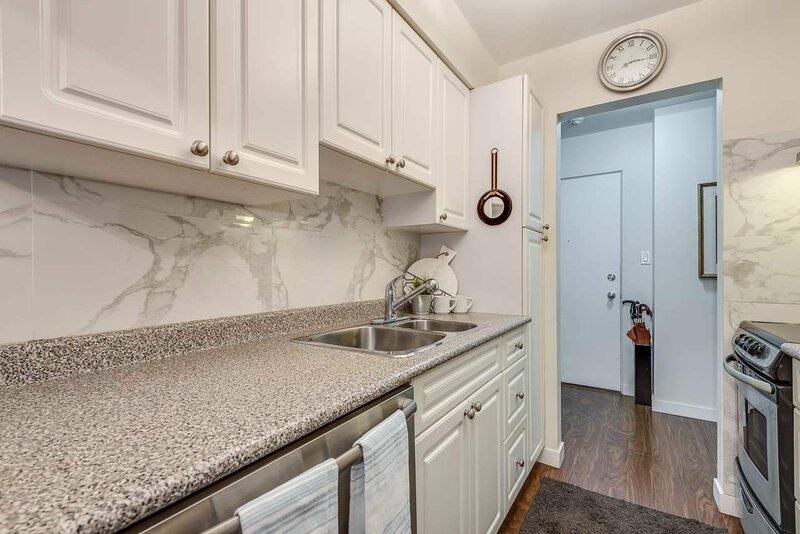 ONE OF THE BEST PRICED 2 BEDROOMS IN NORTH VAN! 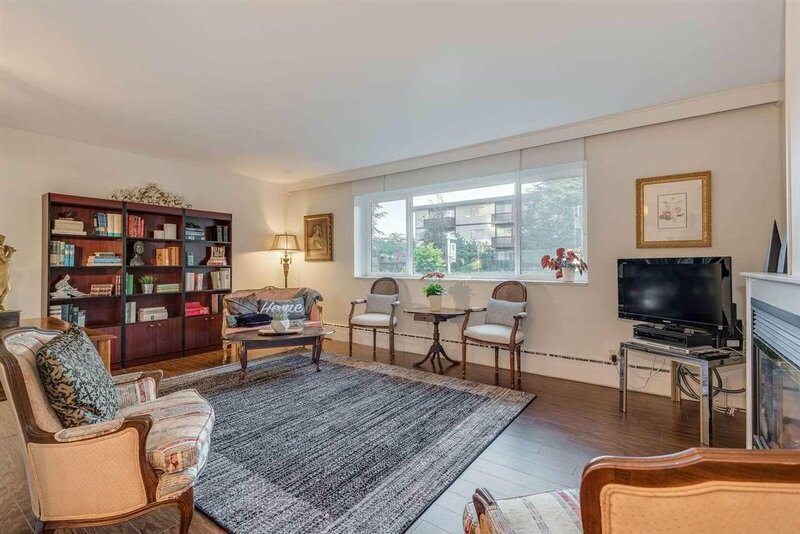 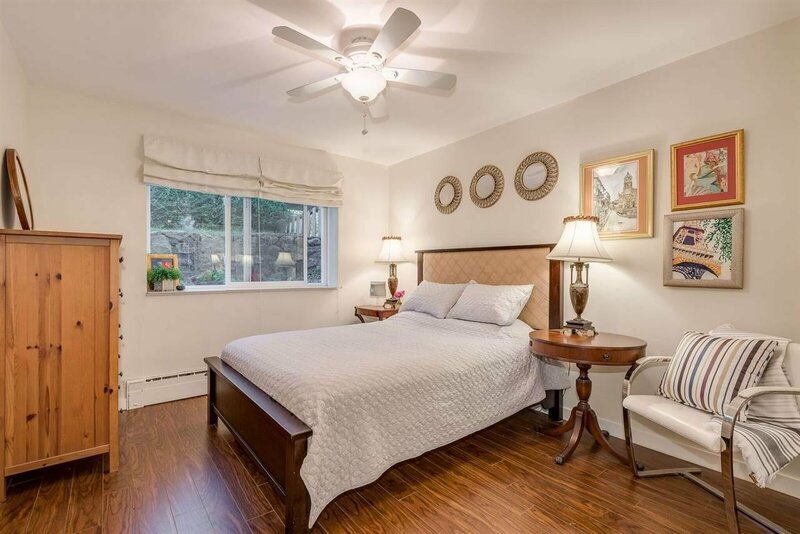 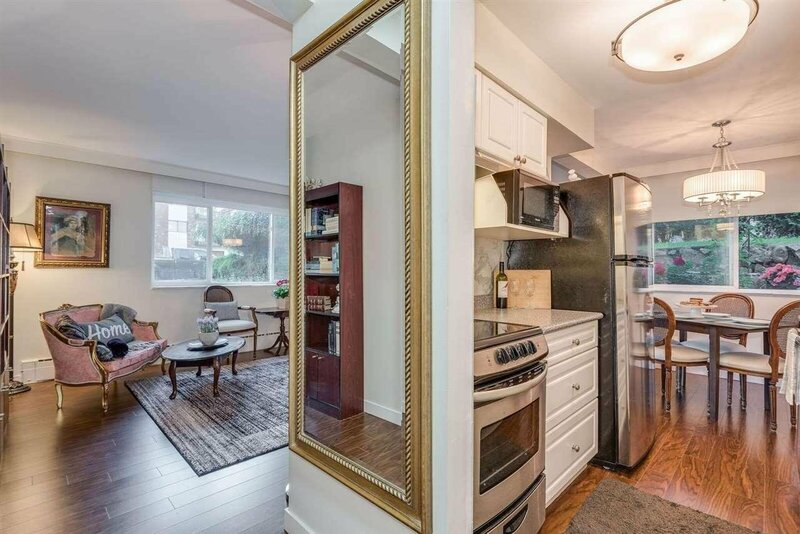 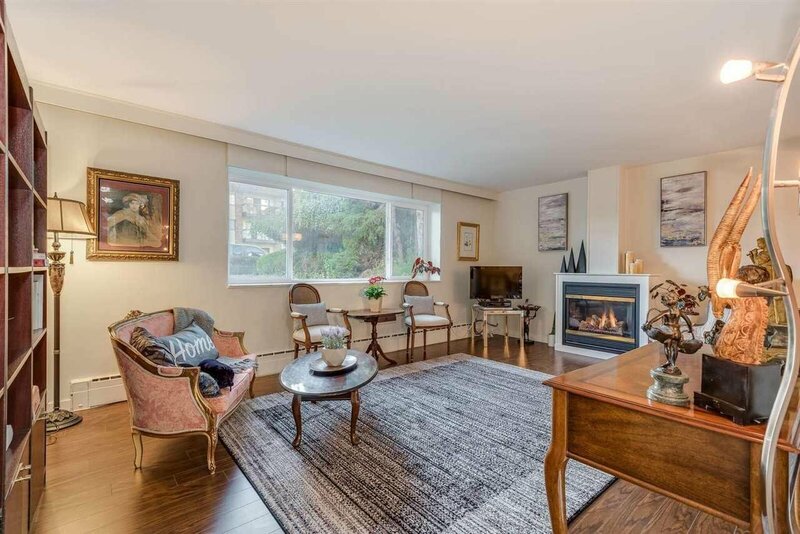 This spacious 55+, 2 bedroom, 1 bathroom is on the ground floor of an extremely well managed, solid building. 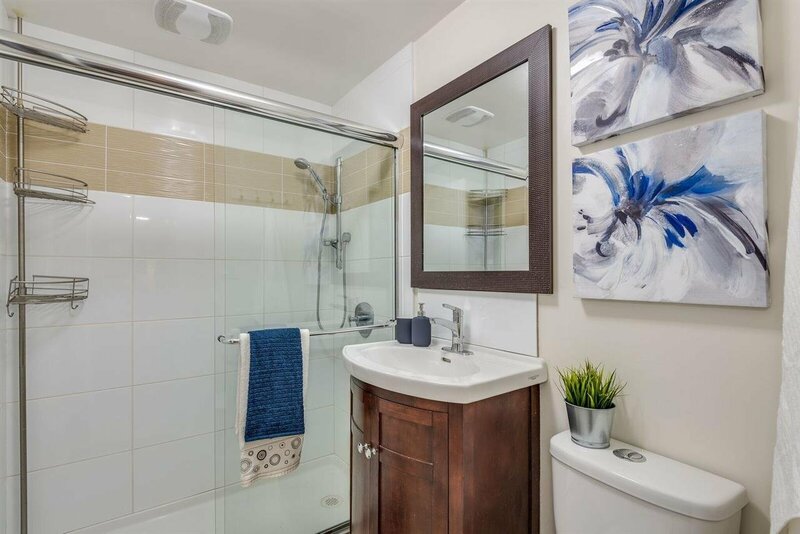 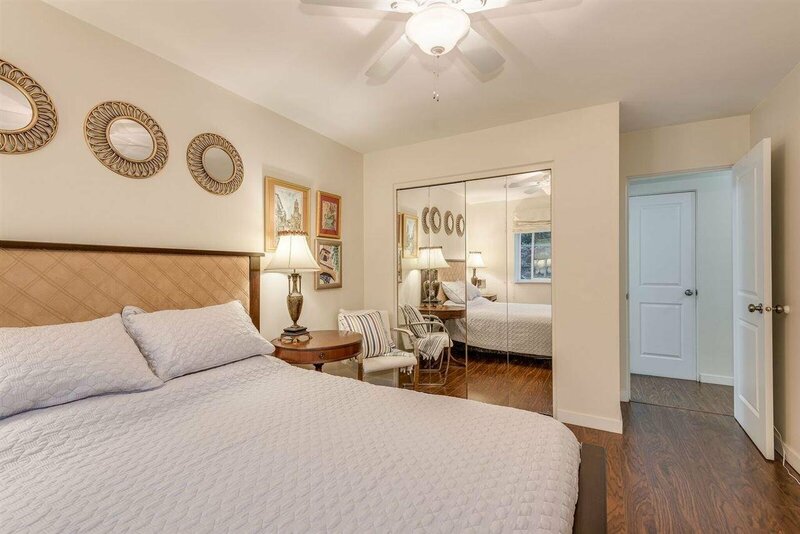 It boasts a full renovation with new doors, lighting, modern window coverings, laminate flooring, appliances & bathroom with Italian porcelain tiles. 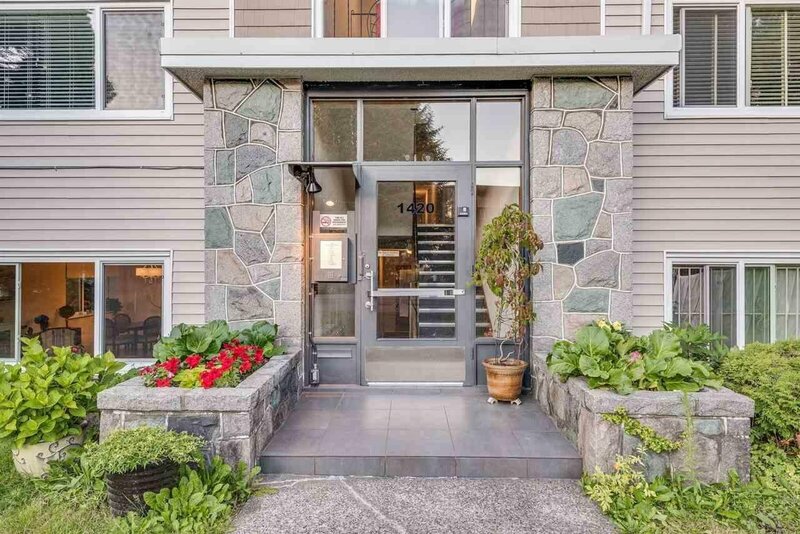 Major building upgrades have already been completed by the proactive strata, with landscaping upgrades to follow next year. 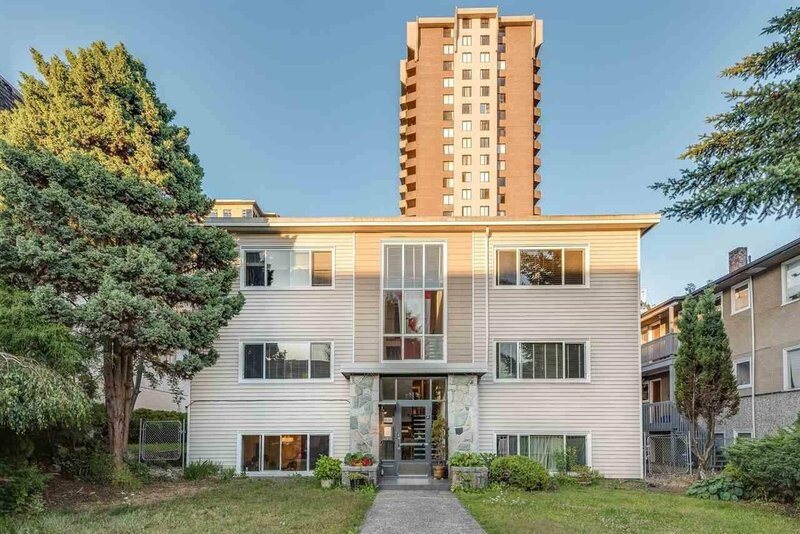 Centrally located beside the new library, City Hall, numerous shops & services as well as 6 min walk to Lions Gate Hospital. 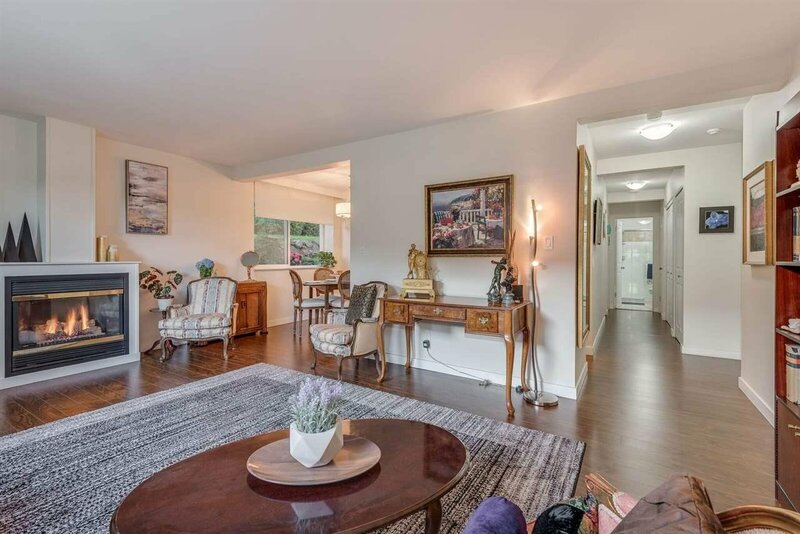 Thinking long term? 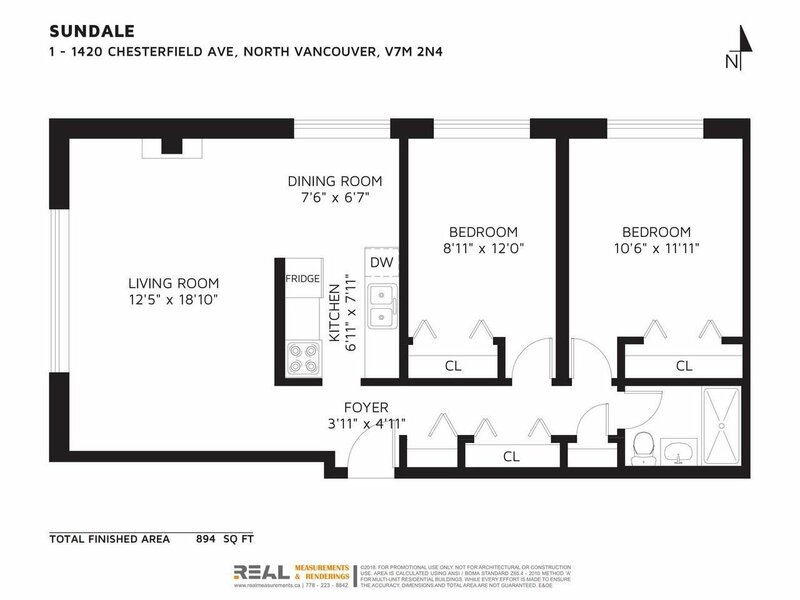 This property is also great for investment/ holding as it is rezoned for future development. 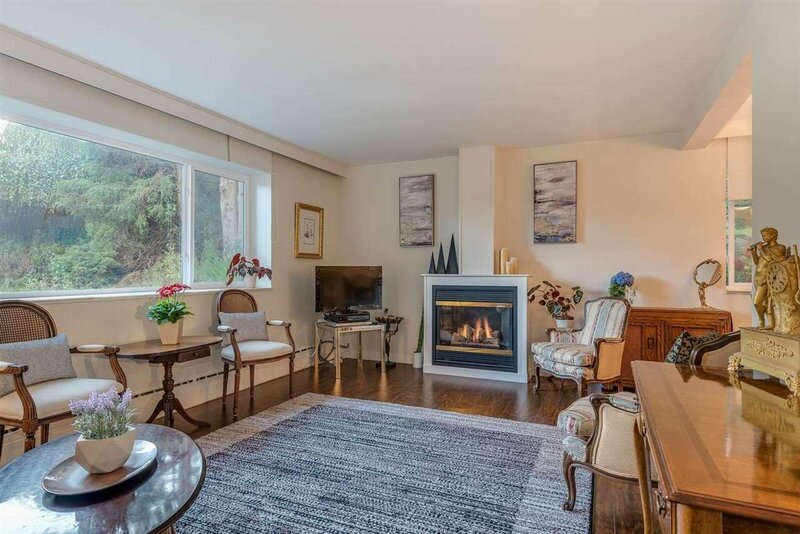 Maintenance fee includes: gas fireplace, free shared laundry, radiant heat & hot water.